July is a great time for a pick up. Saturday,July 28, 2013 from 1:00 – 4:00 p.m. at Norman & Jules at 158 Seventh Ave. in Park Slope, Brooklyn. So what is a pick up? It’s simple. 2. The day of the event, come join us at the locations noted above, and pick up your delicious order. 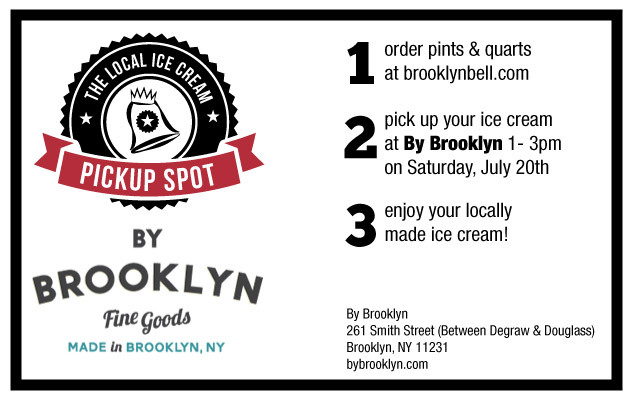 There will generous tastings going on both days, so stop by even if you forget to order (pints available for sale on the day of the event at By Brooklyn). These are one-day only events, so DON’T MISS OUT!